Enjoy an evening of festive cheer and fireworks as Tŷ Hafan hosts Christmas at the Castle on Friday 30th November 2018 at Cardiff Castle! 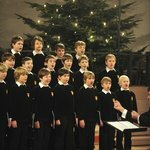 Sing along under the stars as Tŷ Hafan, the hospice for children in Wales, bring Christmas to Cardiff with Christmas At The Castle on Friday 30th November 2018. 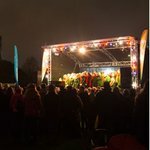 Come and Celebrate the start of the festive season with contemporary choirs, riot jazz and seasonal soulful sounds under the stars, all in the setting of one of the most iconic landmarks in Wales! While you’re in the Castle grounds you will see REAL Santa, shop at the Christmas Craft Market for festive treats and unique handmade Christmas gifts and cards. 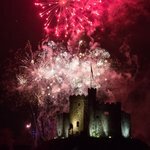 And then what better way to end the evening than with Ooohs and Ahhhs as Tŷ Hafan illuminate the skies above the castle with a stunning firework display! The stage entertainment starts at 6pm, with tickets at £10 for adults and £5 for children; hurry and get your's though as last year's event was a complete sell-out. Then enjoy a night of Christmas magic, while helping Tŷ Hafan provide year-round comfort, care and support to life-limited children and their families in Wales.